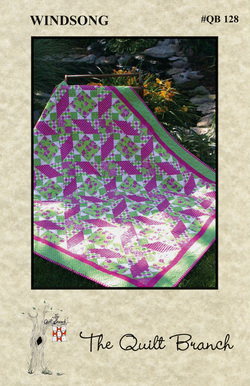 Get your quilt collection spinning with this delightful pattern using stripes and lots of prints. Use the garden party palette, or try Americana, Christmas, autumn, or country. ​Windsong includes instructions for a table runner (18" x 42") as well as three quilt sizes (wall-48" square, lap-58 1/2" x 75 1/2", and queen-96" x 113").